We don’t need to tell you that first impressions count, especially when it comes to selling a house. One stray sock or a dusty window sill could be a deal breaker. So what can you do to make prospective buyers fall for your home? Cover the house in flowers? Bake fresh cookies before every viewing? 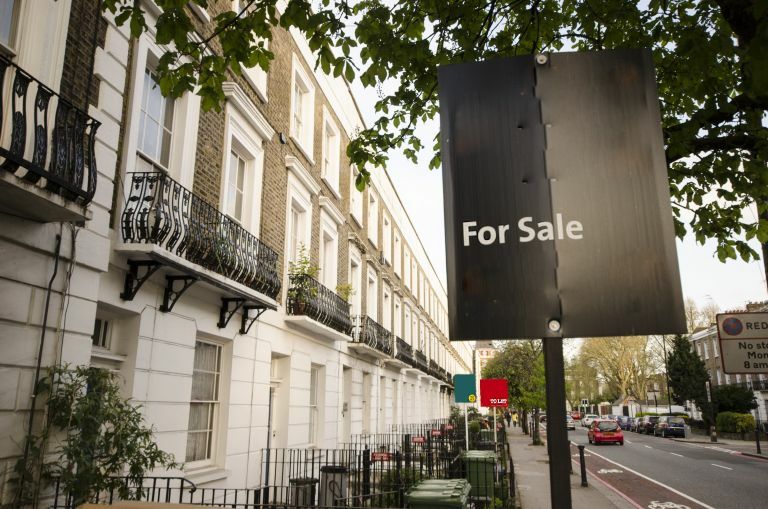 Well, actually, yes; it turns out that these minor tricks do actually help sell a house or flat – but there are plenty more you could be doing. One of the major findings of the survey was that 48 per cent of prospective buyers are looking for a property that is a ‘blank canvas’ that they can project their ideal home onto. So when selling your house make sure you hide away anything that might ruin a potential buyer's ‘vision’. Keep a few personal touches to create a homely feel but aim for a minimalist approach. Apparently this is most important in the bedroom, as the study found that a cluttered bedroom can is not only off putting but can actually knock up £10,000 off a home's value. Homes with neutral colour tones are much more likely to draw in buyers as they’re able to project their own taste on to them (see above). So if you have gone for a bold colour scheme in your home, it might be worth taking the time to tone it down a bit – painful as it may be, paint over the bright pink wall, pull down the leopard print wallpaper and allow viewers to imagine their own style in the space. Chips in mouldings, hairline cracks and dusty surfaces can drastically alter a potential buyer’s opinion of the property. Make sure you do a deep clean of your house before any viewings start to cover up any signs of wear and tear as best you can. Check out our cleaning hub page for loads of tips and tricks. First impressions are crucial – undertake some basic landscaping and repainting/cleaning of entry doors to make potential buyers feel welcome before they even set foot in the home. As well as looking attractive to potential buyers, increased kerb appeal can raise your property’s value by up to £55,000. No matter how thoroughly you check everything in your home pre-sale there will always be something you miss. To avoid any awkward conversations when the offers start coming in, hire a private surveyor to check your property and address any issues they identify before viewing start. Ship off your four legged friends to a friend or relative for viewings, taking extra care to remove accessories and any associated smells. According to the survey 40 per cent saw homes that had signs of pets as a deal breaker. The survey also found that the kitchen is the most important room to potential buyers – with 51 per cent stating that this is the room that they have their eye on. So if yours is starting to look tired, consider taking steps to remedy this such as changing up your cabinet doors and applying a fresh coat of paint as a cost-effective way to give the space a fresher feel. Find quick and easy ways to update your kitchen in our guide. This is an obvious one. Who wants to buy a home that has a lingering smell of cigarette smoke or wet dog? Make sure you air out your rooms and use nice smells to your advantage – this is where those freshly baked cookies come in. While you will undoubtedly know your home better than anyone, it’s usually best practice to get a professional to show people around your home. It’s their job to know the right thing to say. Plus, people feel much more comfortable viewing a house when they aren’t under the watchful eye of the current owners.